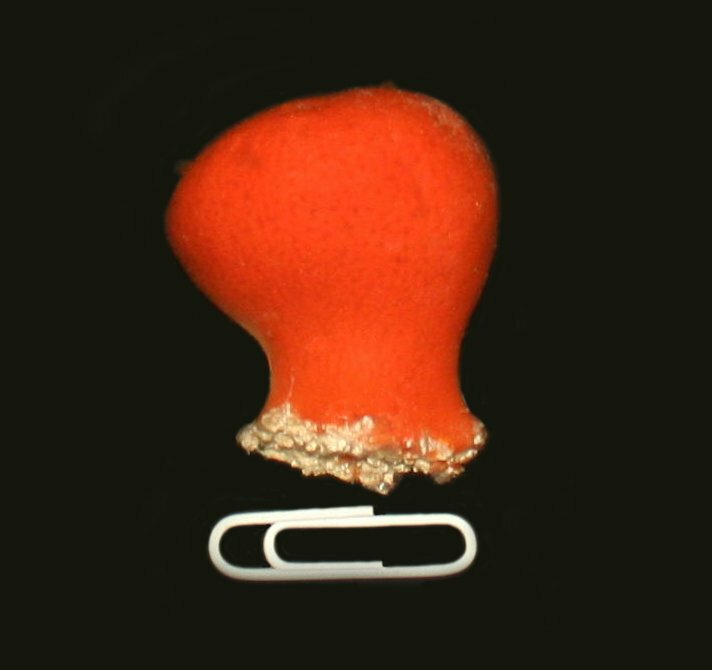 Nano Red Ball Sponges, Pseudoaxinella lunchearta, are a fairly common sponge from Florida and the Caribbean characterized by their bright red and orange color and ball shape. In some areas they also grow in flattened fan shapes, and many of the larger sponges have wavy convoluted sides. 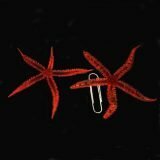 They inhabit a fairly wide range of habitats from 10 feet of water to well over a hundred feet of water, and from inshore to offshore zones, so they are tolerant of all kinds of water quality and temperature conditions and are thus well suited for aquarium keeping. Sponges are filter feeders, primarily feeding on bacteria and dissolved organics, so they can be a little challenging to keep in some reef tanks. 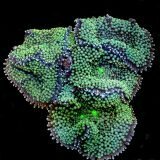 If not fed regularly with some sort of planktonic food, the will slowly starve to death in most reef tanks, so be prepared to feed them on a regular basis. Most sponges will have a small amount of substrate attached to their bases which can be superglued or epoxied to a rock so they will stay put in your aquarium. You can als wedge the sponge into a crack in the rock work of your tank, but I would not recommend planting them in the sand because the base may end up dying. Contrary to everything youll read about sponges, these sponges can be safely removed from the water and exposed to air for brief periods of time without any lasting damages. Weve handled thousands of these sponges over the last 30 years and most have been exposed to the air for brief periods of time without any problems, so dont make a huge deal about not letting the sponge touch the air while you move it from tank to tank or while you mount it on a rock..
Our target size for the nano sponges we ship is about 1.5 to 2 in diameter and about the same height. The sponges are wrapped in paper towels and submerged in water for shipping and they generally ship real well and will do well in your tank. 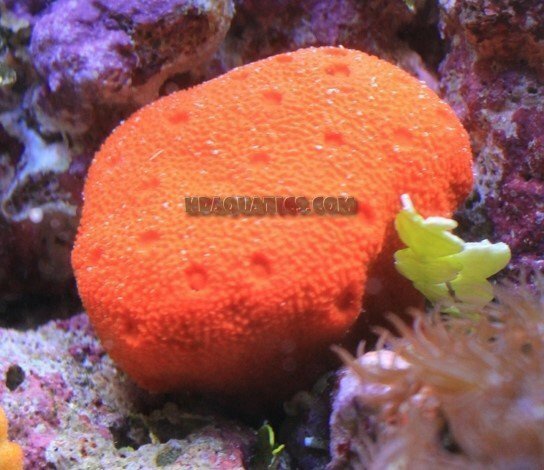 nice looking nano sponge, bright orange/red. it has a nice shape and is about 2.5 inches. Just wanted to update: I now have several of these hardy sponges and they are actually growing onto the adjacent rocks. These smaller ones seem to adapt better than the larger size. 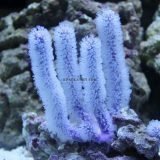 I highly recommend these sponges as they seem to do well long term in the aquarium. Sponges have a notorious track record anything but the largest aquariums, they often starve to death. Also, the sponges you buy from the LFS often look like they are already starting to die. You will be amazed at how healthy these ball sponges look when you get them. I waited 6 months to write this reveiw to see if the sponge would last, and man it still looks great! I just ordered another full sized red ball sponge. This was bigger than I expected when I got it, like the size of a lime. After 6 months in my 30 cube it still looks great. I highly recommend this hardy sponge and for the price you can’t beat it!